Our Skim board is produced with a full wood core, Multi Axial Fiber Glass construction and Ligt Up sidewalls. This construction provides comfortable medium flex and the flat bottom shape ensures easy early planning. 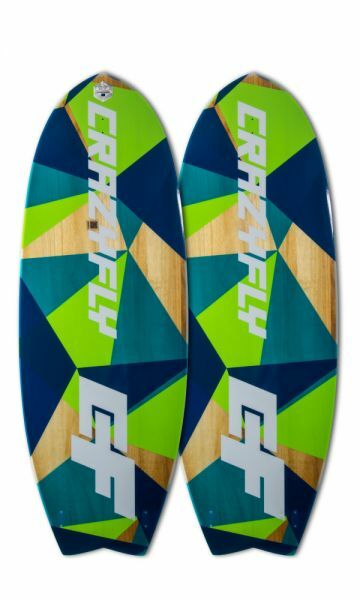 The Skim board features a beautiful transparent wood core design with funky graphics and comes complete with brand new 3.0 cm Razor fins and a self adhesive EVA footpad so you have the choice of riding strapless with a waxed deck, or with the footpads. The 2019 Skim – let the fun begin.